Temperatures have finally dropped down into the 70s here in LA! Well, at least for now. I'm going to take full advantage of that and start busting out all my colorful tights. I kept it pretty simple for this How I'd Wear It, using a very limited color palette, but I think the end result is still a lot of fun. 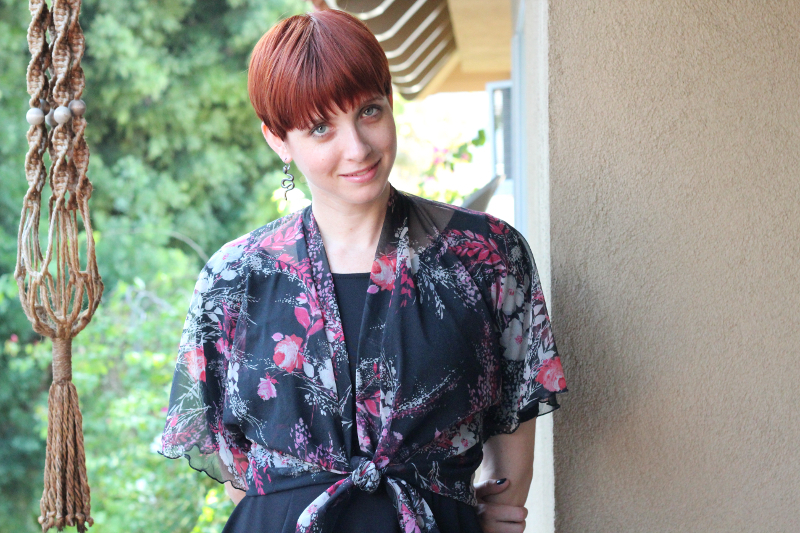 This sheer, cropped kimono cardigan is so versatile too. I looks super cute over a simple black dress like this, but it would be just as fantastic with jeans and a white tank top. What do you think? How would you style it? Want to style it in real life? Hop on over to the shop and grab it!